The schedule for the Keller ISD’s 2015—2016 school year has recently been published for the students and staff to view. At the moment it’s just a timeframe on a piece of paper, however, come August, it will dictate the daily lives of everyone enrolled in Timber Creek. It is true that there are many vulgar, unusable statements decrying the partial block schedule — yet not everybody is so opposed to the change. Junior Emily McIntosh is one student keeping an open mind. “I like this better because it will give me more time in certain classes such as culinary arts,” McIntosh said. Culinary Arts will likely be in a period that is neither first nor fifth, so she can enjoy an hour and a half of class every other day. McIntosh is not alone in a positive impression. “I think that it will work out better than schedules in the past,” said sophomore Dylan Unoseth, referring to the mistakes and last minute alterations that have occurred in prior school years. Truly, a schedule that has been printed so early is bound to be more stable than others. Some teachers are looking forward to the longer classes, too. “Maybe I’ll be able to get through a lesson,” Mrs. Pedregal said. The demands of announcements and the 45-minute class periods this year have considerably hindered some teachers’ amount of necessary class time. Where there is an eager reaction to this new schedule, there is most definitely a negative lash back. “I’m already making a petition because I don’t want it,” said Charlie Keefe, a junior. If the vast amount of furious quotes are any indication, his petition will be signed by many students, such as sophomore Ross Taylor. “I refuse to follow this schedule if it isn’t changed,” Taylor said. Others are displeased by the way time is being allocated. 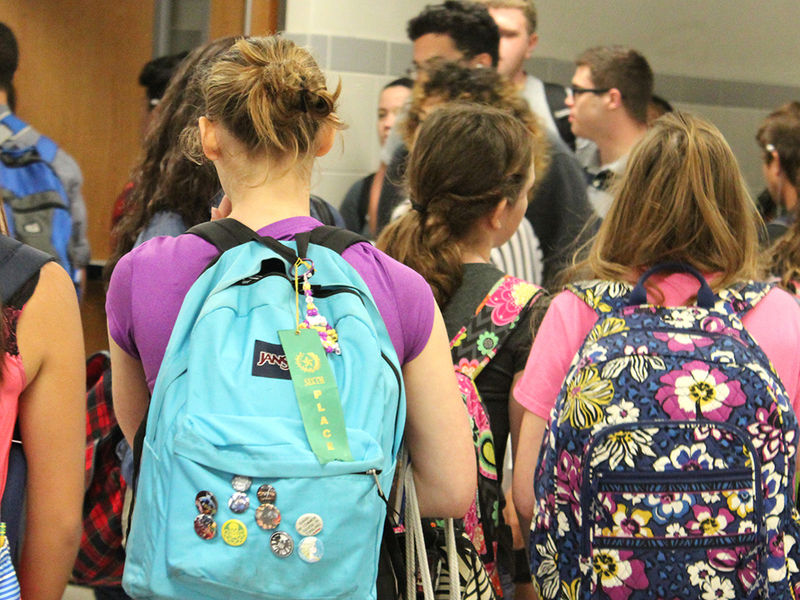 “30-minute lunches are not enough time,” said freshman Alexis Wright. She followed that with the declaration that she would have to skip school to have enough time with her friends. As a whole, the counselors of Timber Creek have given a reason as to why this schedule is necessary. “It’s probably the conflict with specialty classes, like cosmetology, band, and choir,” a group of counselors said. The hybrid block schedule allows longer classes on alternating day. There are a notable number of people at Timber creek that just “don’t care” or are willing to accept the plan for next year with little to no emotion. However the students here feel about next year’s layout, they will have a chance to prepare over the summer. When school resumes, we’ll see just how the schedule works out. Hannah Blake is a sophomore Features writer for the Timber Creek Talon.